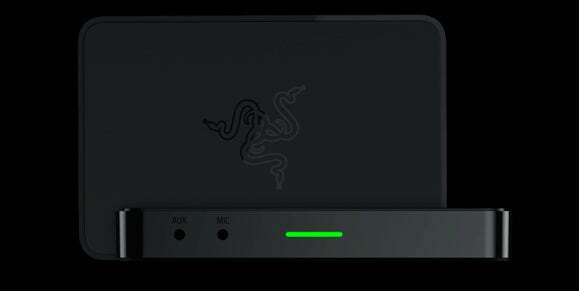 The Razer Ripsaw helps stream your gameplay online. Razer is making it even easier to realize your dreams of getting paid to play video games all day. The gamer-centric hardware maker recently announced the Razer Ripsaw, a capture card for broadcasting your gameplay to services such as Twitch and YouTube Gaming. The card features USB 3.0 and HDMI connections to stream your gaming madness to the world. 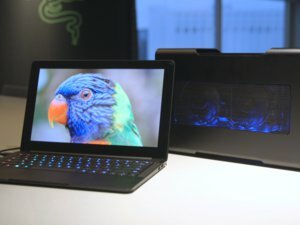 Once you’re connected, Razer says the Ripsaw will be able to capture your gameplay in 1080p at 60 frames per second uncompressed with “nearly zero latency.” To get that supreme game capture up to the Internet, however, you’ll need a healthy upload speed from your ISP. The Ripsaw isn’t just for PCs. Razer says the card comes with all the required peripheral cables you need to stream from consoles too including the PlayStation 3 and 4, Xbox 360 and One, Nintentdo Wii U, and Razer’s own Forge TV. There are also auxiliary and microphone audio inputs to capture your licensed music track or running commentary. Razer decided not to reinvent the wheel and come out with its own software. Instead, the box integrates with OBS (Open Broadcast Software) or XSplit. 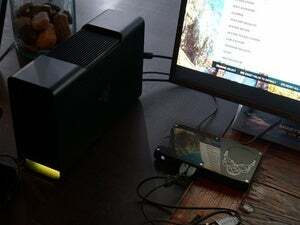 The impact on you at home: If you're going with a PC instead of a console for your game streams, Razer has varying requirements depending on whether you’re using a desktop or a laptop. Desktop machines will need a quad-core 3.10 Ghz Intel “Haswell” Core i5-4440 or higher, and an Nvidia GeForce GTX 660 or higher. Laptops need a quad-core 2.8GHz Intel “Haswell” Core i7-4810MQ or higher and a minimum GeForce GTX 870M. On top of that you’ll need a PC equipped with at least 4GB RAM, but 8GB is recommended. The Ripsaw is available directly from Razer for $180, a similar MSRP to the Elgato Game Capture HD60, a rival 1080p/60fps capture card—though you can often find the Elgato hardware on sale for slightly less.